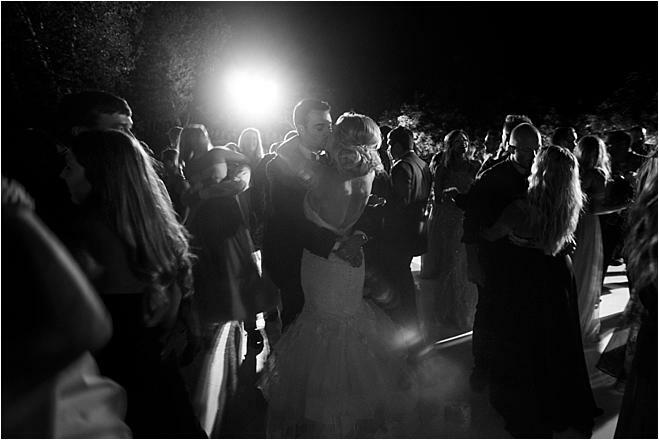 Samantha and Corey met in their high school French class; he was a football player, and she was a cheerleader. 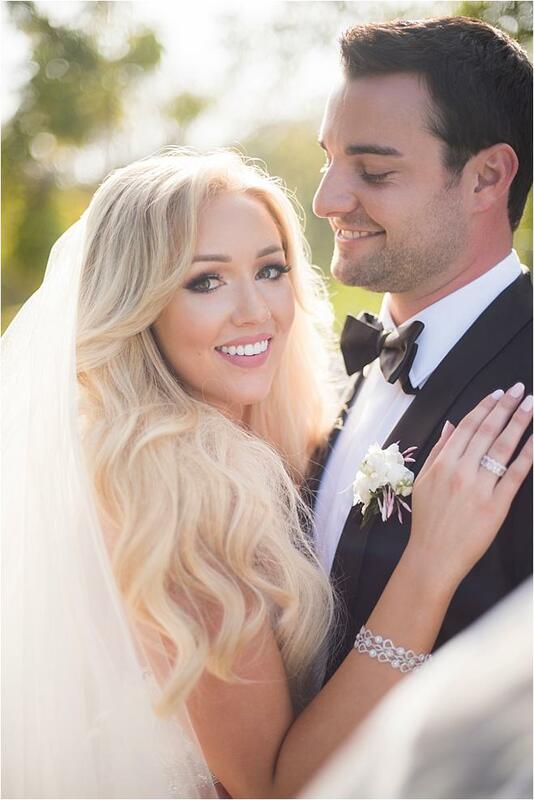 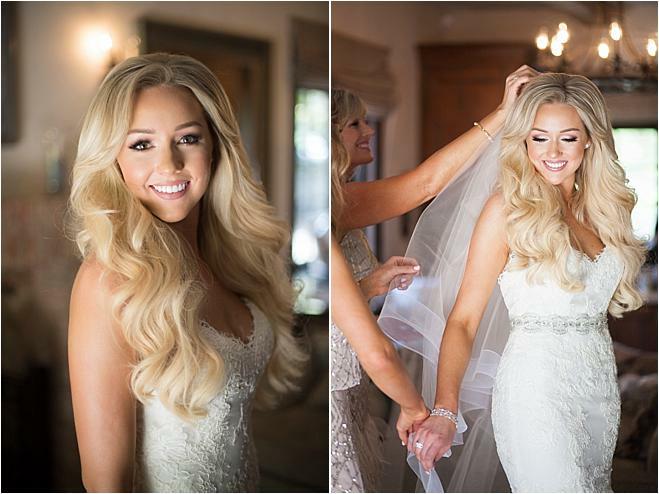 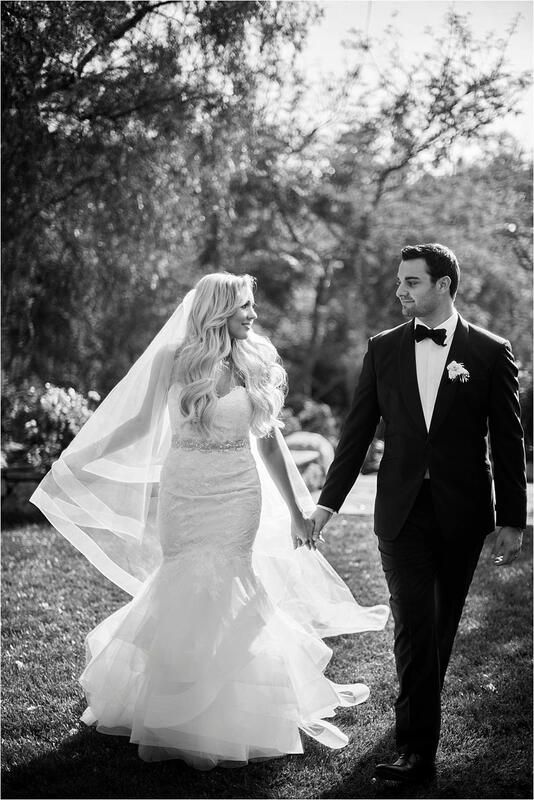 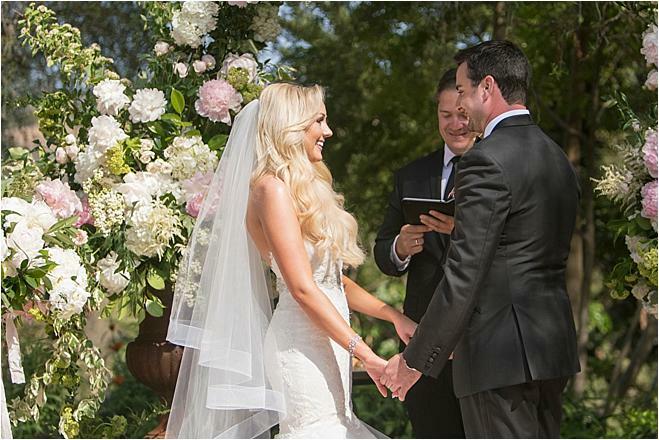 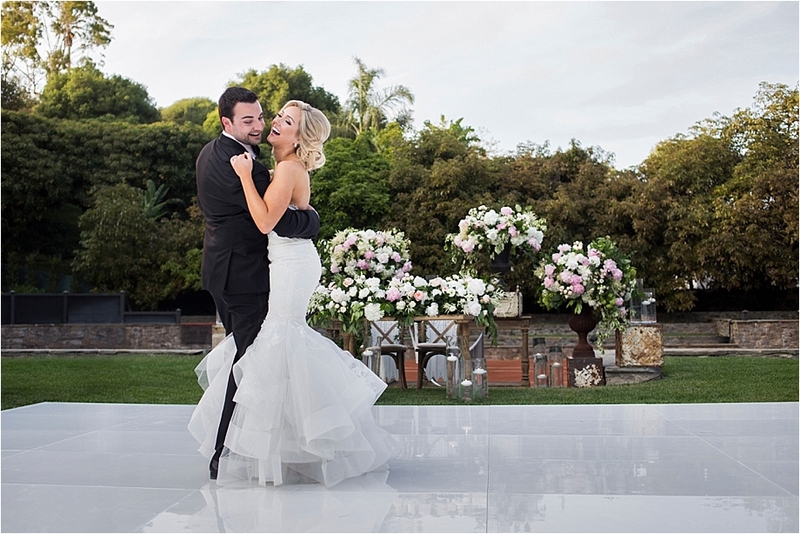 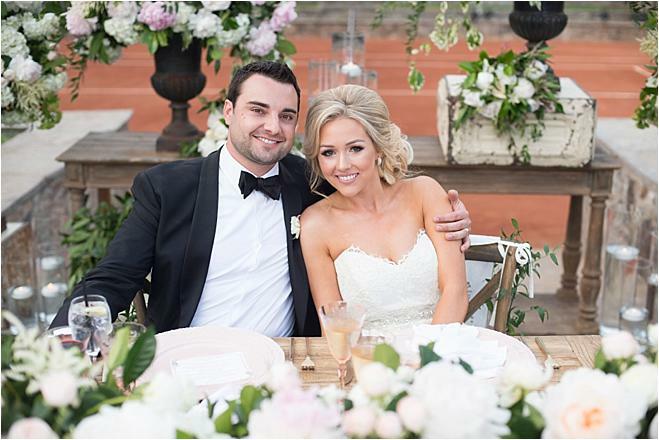 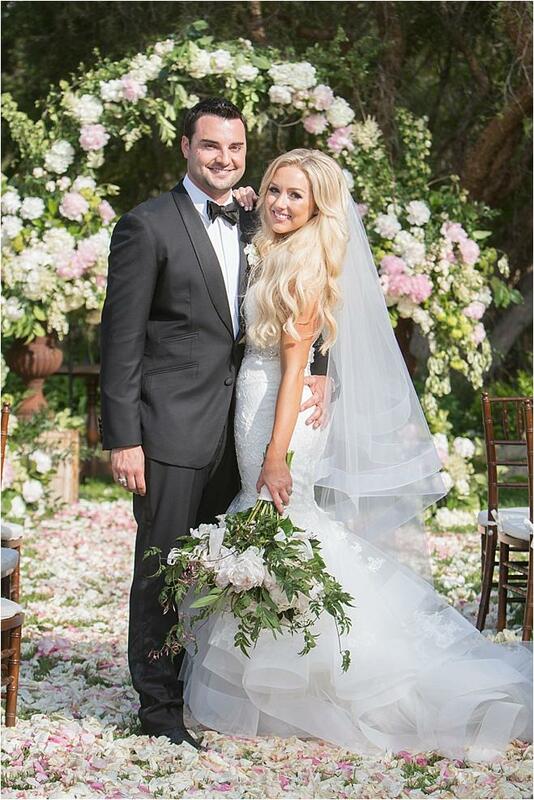 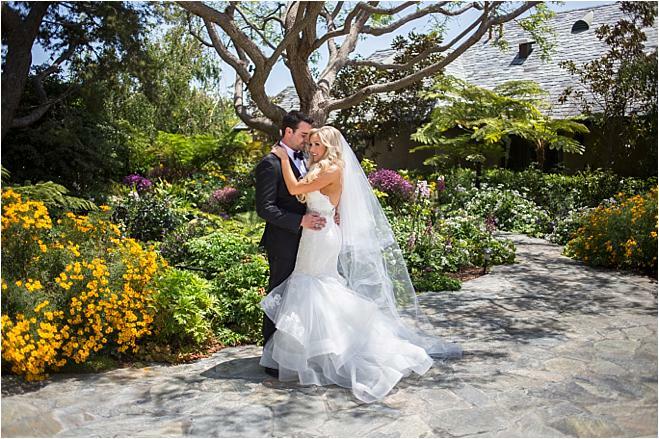 Their love story grew over the next 10 years, enduring a five-year, long-distance relationship while Corey attended the University of Arkansas to obtain his degree in landscape architecture, and Samantha stayed in Orange County to pursue her dream career of being a wedding planner. 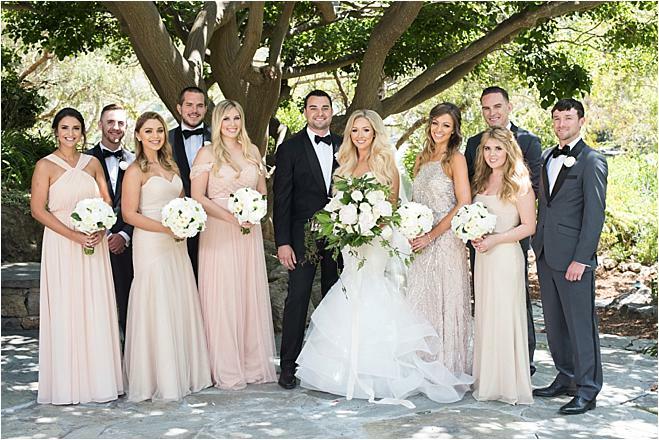 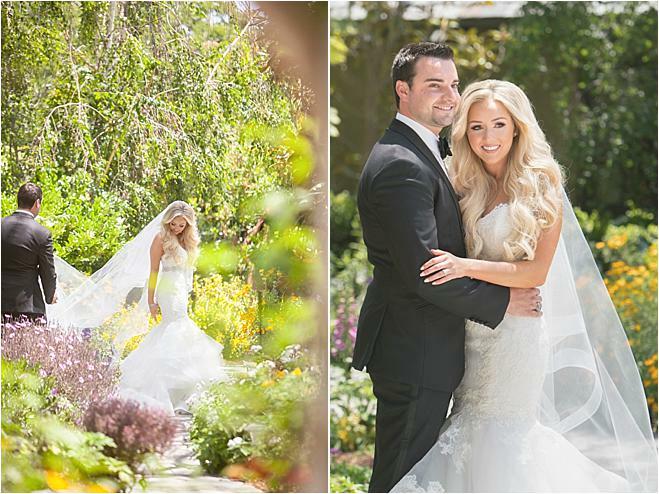 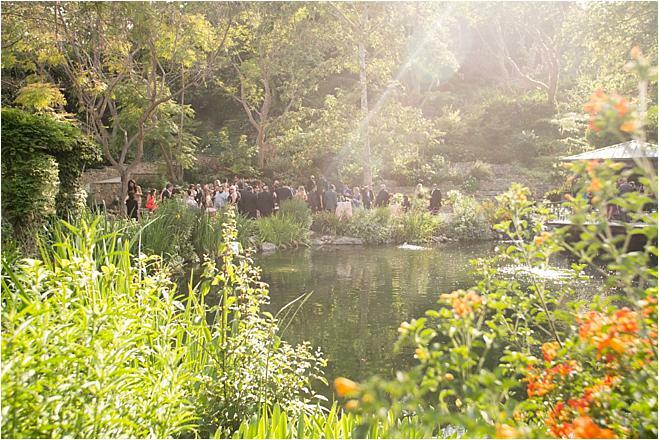 The combination of Samantha’s love for trailing greenery, peonies and all things blush, and Corey’s job as a landscape architect and his love for beautiful outdoor atmospheres led to the unanimous decision to have a garden wedding. 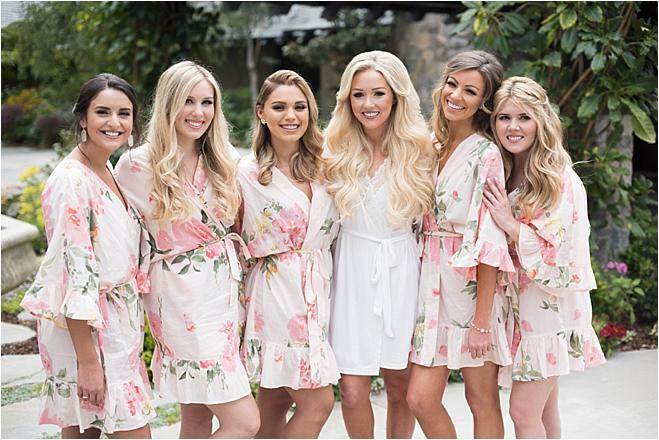 But finding the right venue to host their dream day proved challenging, especially considering the bride routinely works at some of the most incredible venues in the world; she yearned for something different and new to her. 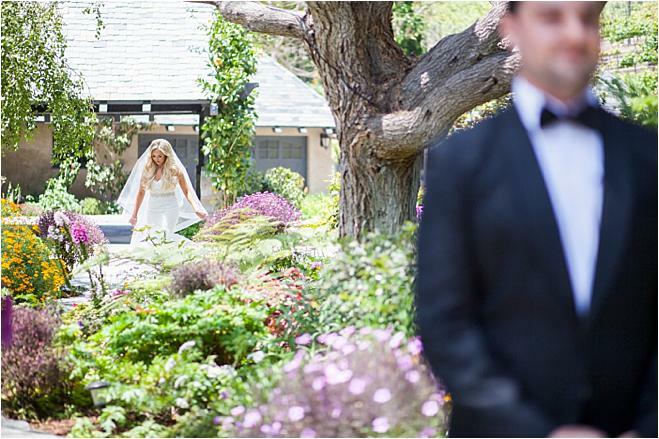 After many a tour and discussion, Hevadu Vineyard Estate in Malibu, with its vineyard, horses and gardens, was the perfect spot. 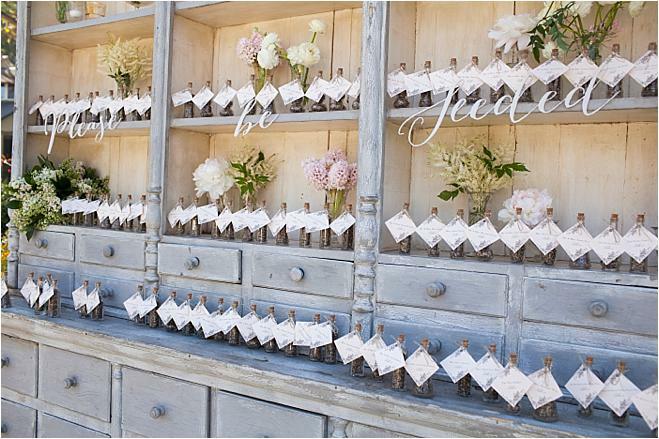 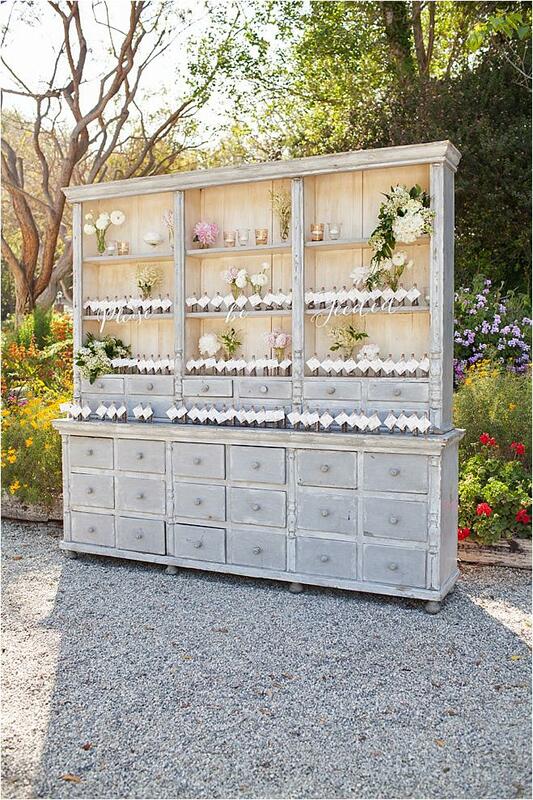 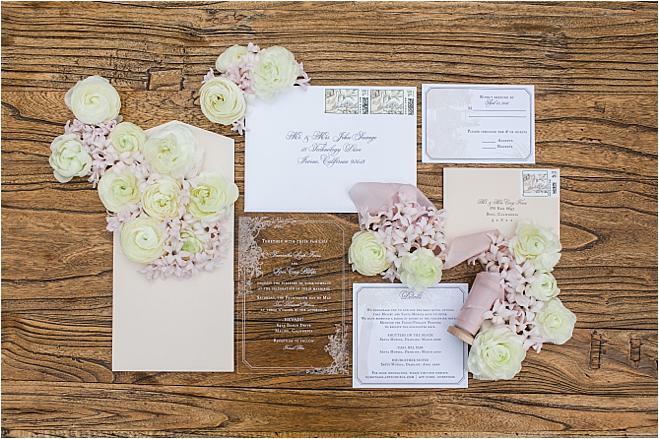 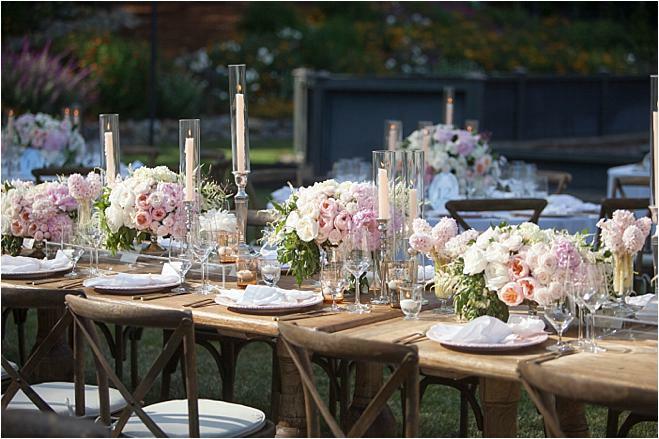 As a wedding planner at Details Details, Samantha was focused on ensuring the design was representative of the couple and their relationship. 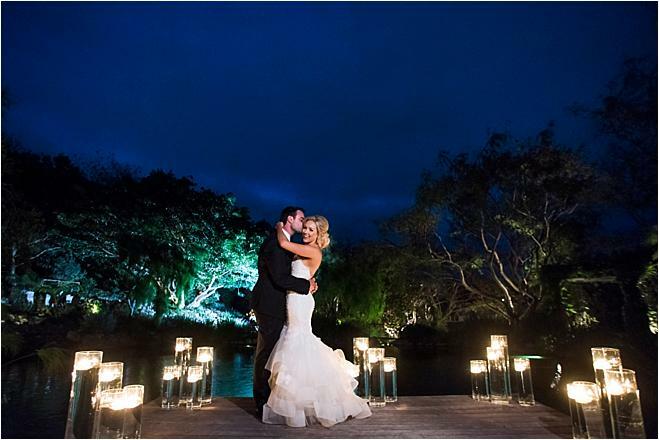 “Our goal was for our guests to enter into a space that made them feel comfortable and cozy,” says Samantha. 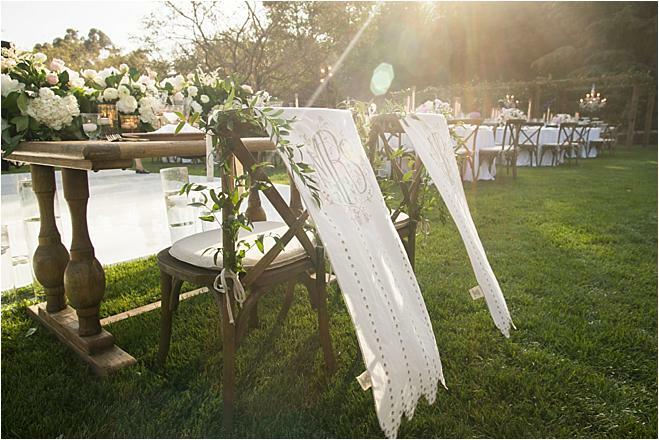 As such, the décor reflected items they love and, in some cases, have in their home, such as wood tables and chairs mixed with gold and mirrored accents. 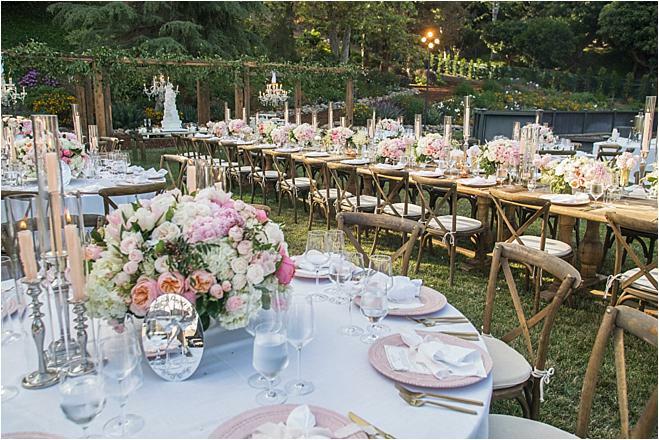 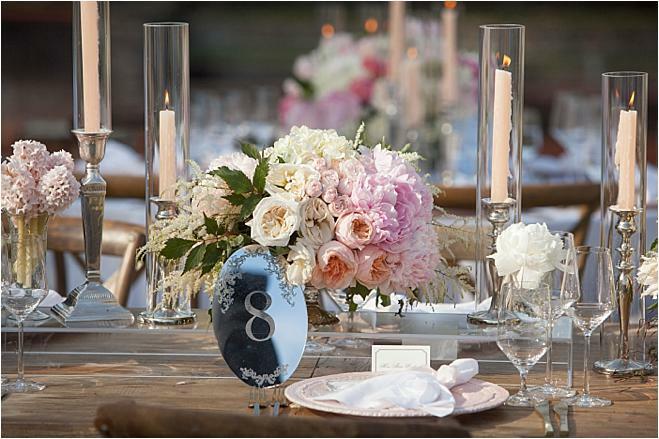 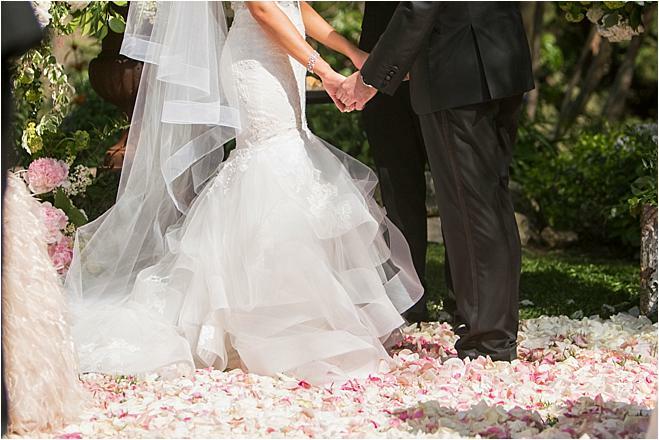 Reflecting the beauty of the estate’s gardens along with Samantha’s aforementioned adoration of blush and greenery, floral arrangements fit for an English garden set the tone for the couple’s vision, a “formally informal” garden party. 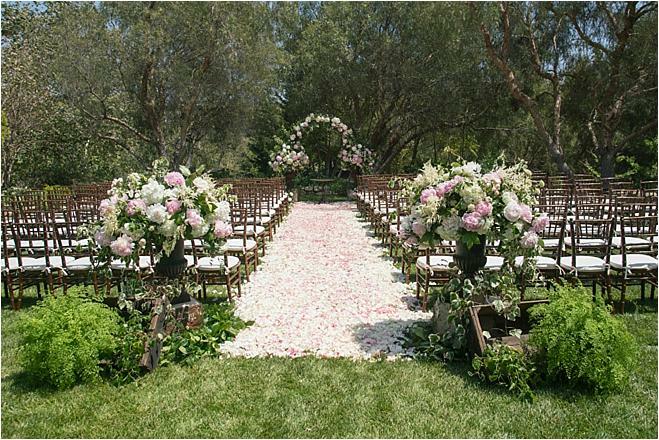 An array of garden roses, fringed tulips, hyacinths, ranunculus, jasmine vines and an abundance of peonies (and more peonies!) 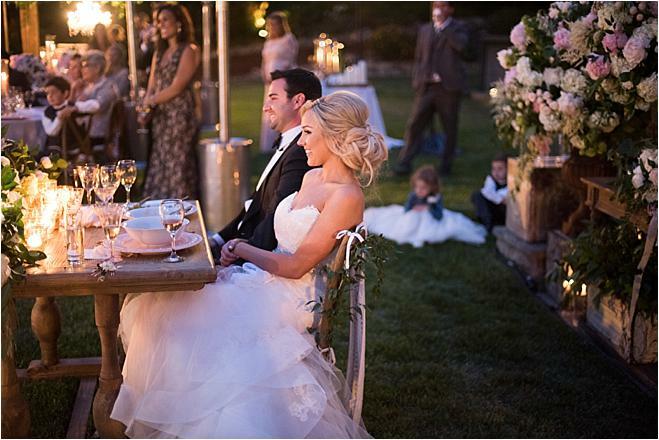 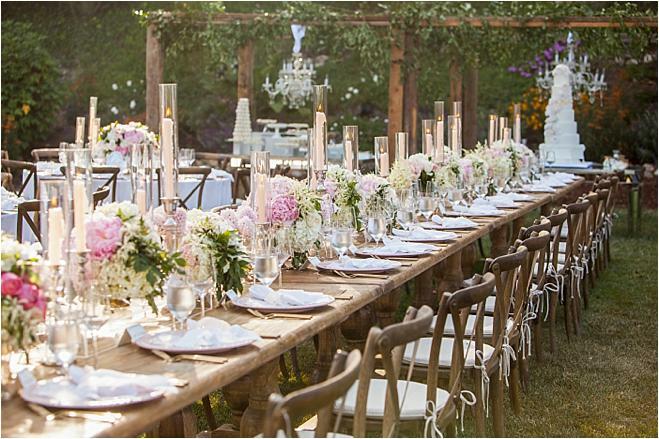 composed their ceremony arbor, flanked the aisle and lined the gracious wood farm tables at the reception.